Having been affected by the cholera outbreak in Zimbabwe between 2008 and 2009 period which claimed an estimated 4,288 lives in the country, it got me thinking on how best I could be of service to the local communities and to my nation at large. I realised the gap in sanitation expertise and sought to go for further studies and specialise in sanitation. In my search, one of my professors (Prof I. Nhapi) told me that if one is truly keen to learn about water, then UNESCO-IHE was the place to be! 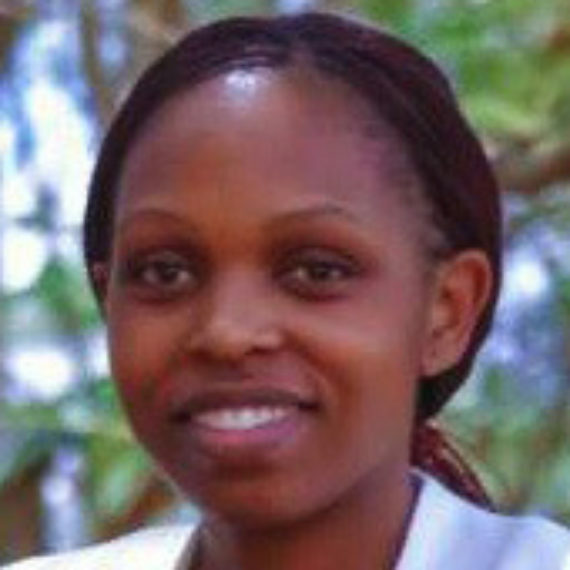 I joined UNESCO-IHE as an MSc student in Urban water and Sanitation, Sanitary engineering specialisation, with my engineering background, I was interested in sanitation technologies. I was motivated by the fact that most of the treatment facilities in our country were down or not operating at full capacity. But my view as I started the MSc was limited to treatment technologies as the sole solution to the challenges in Zimbabwe’s sanitation sector. During the MSc, my expectations were met and even surpassed! I learnt a lot on sanitation technologies and of particular interest were technologies along the whole sanitation value chain for decentralised/ onsite sanitation covered during resource oriented sanitation and also faecal sludge management (FSM) modules. During the FSM module, I learnt that there are various technologies across the whole sanitation value chain from capture to reuse or disposal. The sanitation value chain was an interesting concept, as I learnt that waste should not just be eliminated but there are various innovative ways of harnessing the resources in faecal sludge (FS). With FS technologies one can be as innovative as they can be and the design is more interesting as it allows one to come up with variations that can help suit the household income, culture and beliefs of the local people, geography of the place, locally available resources or construction material in the area among other factors. With such kind of holistic consideration, options for sanitation service provision are widened and hence making it possible to eradicate open defaecation and in turn, meet the SDG goal 6! The FSM module helped me appreciate that sanitation service provision is not only about technologies but also policies, institutional arrangements, finances around FS technologies and other non- technical factors. As a technical person, it was an eye-opener to see how all these factors affect technology selection, implementation, adoption and sustainability and helped me realise why some of the technologies we make as engineers in our offices without the users in mind end up not being used. Zimbabwe used to have the one of the best sanitation systems in Southern Africa for both rural and urban areas. However, the economic decline has seen the sanitation sector suffering a number of problems and the country being affected by cholera outbreaks in recent years. Urban local authorities have been struggling to rehabilitate the aging infrastructure let alone having new connections. This has paved way to onsite sanitation in the urban areas to cover up for the gap in service provision. The onsite systems are a full responsibility of the households which are finding it a burden to design, construct, operate and maintain the technologies as the local authorities are not well versed with FS technologies. Starting from the curricula of sanitation related programs at universities and training institutes, the main focus is on conventional sewered sanitation technologies. With the realization that sanitation professionals in my country lacked the basic knowledge of FSM and non- sewered sanitation, I have introduced the concepts of FSM into the curriculum of the undergraduate students in our department of environmental engineering at Chinhoyi University of Technology where I work as a lecturer. I have shared the knowledge I gained at UNESCO-IHE on how important it is to be innovative and resource-oriented when covering the gap in sanitation service delivery, not only focusing on sewered sanitation, especially in times of economic recovery. I realized that this would be a fast way of disseminating the knowledge as we churn out at least 10 students every semester from this specialisation who go into various sectors including local authorities. I have been at the university for 1 semester now, but I have realized a lot of interest in the students who are even willing to take up research work in non-sewer research for their final year group design projects in the coming semester. One group is looking at the redesigning of the Blair toilets under my supervision while the other is looking at planted sludge drying beds using local plants. After completion of the masters’ programme, I carried on with my masters’ work and I am helping communities using onsite sanitation systems. Currently, as part of community service, I am working with a community with 300 households using ecosan toilets offering technical support to them as they do not have technical support from local authority or the NGO that introduced the technology to them. I am doing the task with the undergraduate students to help them have hands on experience of problem solving for onsite sanitation. Additionally, it helps them as technical people to learn to interact with communities and provide solutions that suit the needs of the users. Apart from the above, I am working on publishing the findings of my MSc thesis (supervised by Prof. D. Brdjanovic, Dr. L. Taing and Dr. M. Mulenga), with a target of disseminating the evidence based research to the policy makers and other stakeholders in my country, Zimbabwe. This is targeted on making the policy makers to see the vital role that FSM can play in covering the gap in sanitation service provision and including FSM in the sanitation policy that is being written. The paper highlights that Zimbabwe as a nation would do well in covering the gap in sanitation service delivery if sanitation options in urban areas would be widened by including FSM. It points out how stringent policies can be retrogressive in covering the sanitation gap. As in the case of Zimbabwe, where the minimum standard for urban areas is the flash toilet connected to the sewer, which the urban local authorities cannot afford to keep up with the new connections of the growing urban population, households have ended up designing, financing, constructing and maintaining technologies they do not have much knowledge of. It further highlights the great need for proper planning and management of the faecal sludge technologies in order to provide safe sanitation for urban areas which is urban poor inclusive. Capacity development– The students have found FSM studies to be relevant to our context as one of my students said, ‘This is the knowledge that we need to be equipped with to help local communities, rather than focusing all our energies too much on sophisticated technologies, when our people do not have the basic (toilet)…!’ The FSM concepts will be further disseminated by the graduates to their various spheres of influence as at least 10 per semester (at least 20 per academic year) are churned out. 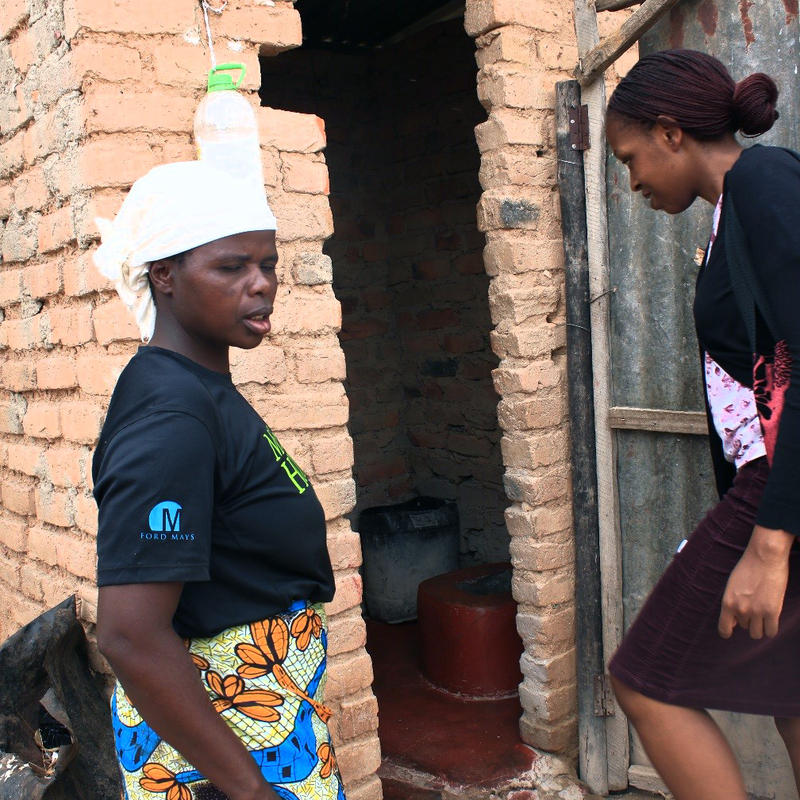 Open defecation reduction– The majority of Zimbabwe’s population lives in the rural areas and the blair (Zimbabwean version of ventilated improved pit latrine) is the mostly used. The blair toilet improvement project is of interest as its success will help reduce open defecation in rural areas which in the last UNICEF survey was at 44% (UNICEF report, 2014). The project aims on improving the toilet to increase the user friendliness and adoption in rural areas. Policy development- The publication from my thesis will help inform policy making using the evidence that I found on the ground during my research work. With the current sanitation and hygiene policy under construction, the paper will help give different insights on how FSM can play a big and vital role in covering the gap in service provision. All- in- all, I learnt that knowledge acquired needs to be translated to practical action for direct benefit of communities. Research also provides a platform of informing policy makers on what is happening on the ground in communities which helps in formulating policies that are relevant for the context. 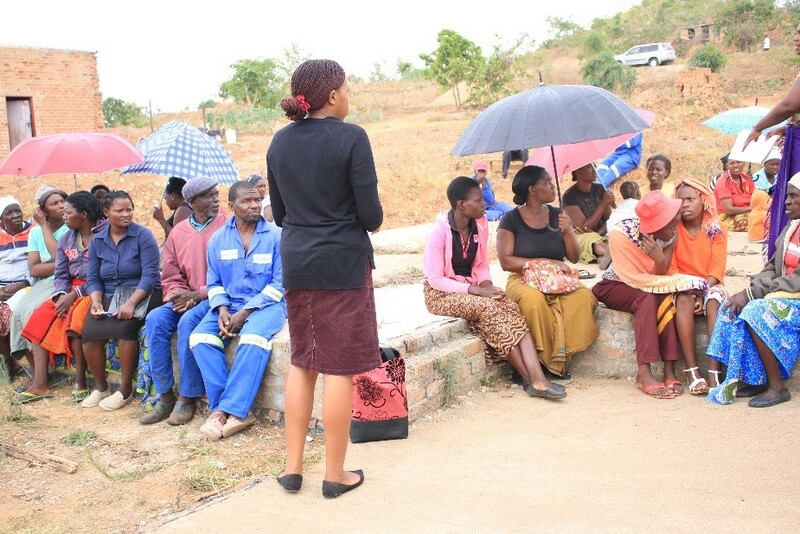 I also learnt the importance of technical people interfacing with communities as it helps them provide appropriate solutions to the communities. From the capacity development side, I learnt the need to change curricula to suit the environment so as to ensure that the engineers being training are well equipped for the environment and challenges that they will meet in low income, resource- constrained economies such as we have in Sub- Saharan Africa.